Enjoy the utmost in luxury condominium living within the famed walls and European courtyard of Chicago’s opulent Waldorf Astoria. Formerly known as The Elysian, Chicago’s Waldorf Astoria represents some of the most desirable luxury condominiums in the city at one of its most renowned addresses, with 51 magnificent properties each boasting large balconies capturing panoramic views. Along with magnificent appointments, residents enjoy lavish amenities ranging from on-site fine dining to a world-class spa with lap pool, Jacuzzis, state-of-the-art fitness equipment and steam and sauna rooms. That’s in addition to the famed white-glove Waldorf Astoria service, from valet to a personal concierge. Three- and four-bedroom floor plans are available in spacious designs ranging from 3,400 to 6,400 square feet. For those seeking the finest in luxury condominium living in one of Chicago’s most magnificent properties, excellence awaits at the Waldorf Astoria. 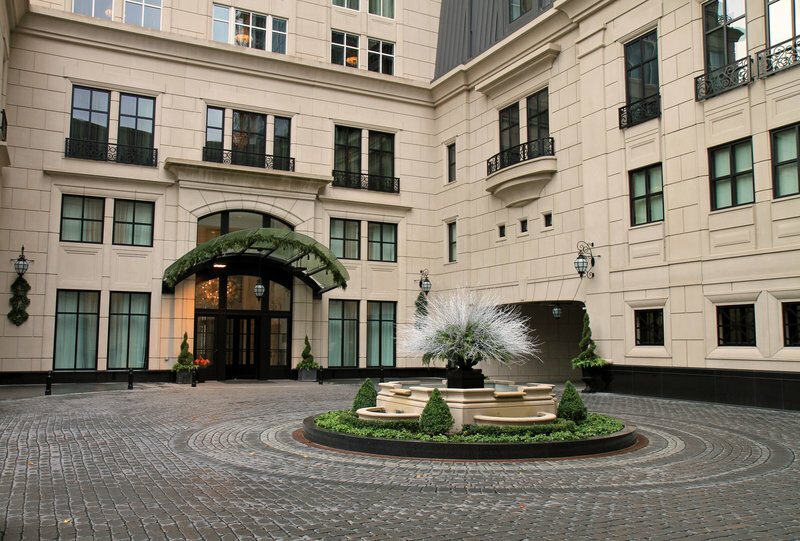 The Waldorf Astoria Chicago, built in 2008 and formerly known as the Elysian, was designed by internationally acclaimed architect Lucien Lagrange in the classic Beaux-Arts style with a European auto courtyard. The 51 luxury condos with large balconies are on semi-private floors 29 through 59 above the Waldorf Astoria Chicago Hotel, and consist of three and four bedroom floor plans that span 3,400 to 6,400 square feet, capturing panoramic city and lake views. Residents receive white-glove service and enjoy the Waldorf Astoria's hotel amenities including valet parking, concierge services, catering and in-room dining. The luxurious spa offers a lap pool, personal trainers, Jacuzzis, steam and sauna rooms, separate men's and ladies' lounges, and state-of-the-art fitness equipment. Petit Margeaux, a classic French patisserie, and Margeaux Brasserie, a Parisian cafe with elevated French cuisine, are located within the hotel. Dogs are welcome in the Waldorf Astoria condos and there is no weight limit.